Theatre@Terra presents Prison Chronicles, the story of a country and its people. ... Ayodele Arigbabu's Moremi RSV and Femi Odugbemi's Bariga Boy. NaijaPulse is a new microblogging tool. You can think of it as the Nigerian version of Twitter. You get to share updates of yourself (in 140 characters or less). SMS is not yet supported by this tool, so if you want to share on the go, you have to do it with the email functionality of your phone or BlackBerry. You can also link it to your Facebook (though I couldn't find how to do this) and Twitter accounts. Just discovered this blog: Women & Hollywood: News and Commentary About Women and Hollywood from a Feminist Perspective. Looks interesting. This post by Patrick O'Heffernan, Are you a business plan or grant proposal social entrepreneur?, on the Social Edge blog comes at a handy time when I've been wrestling with writing a business plan for my nonprofit. When it was first suggested to me that I write a business plan (about 2 years before I would actually set-up the organisation), it seemed that its purpose would primarily be to determine the feasibility of the world-be organisation. Fair enough. My friends sent me templates and I picked the simplest looking one and started work. Only it was much harder than I had hoped. Along the way, I dropped it meaning to continue with it at some point. Anyway, fast-forward a couple of years and the nonprofit had started operations. Again I was advised to develop a plan, which which both help map-out the organisation's plan of action, and serve as a fund-raising tool. Fair enough, I thought again. However, working on it has not been easy, however I have a semblance of a sort-of -ish plan. But, this was not the NGO school I came from. In my previous work experience, our source of funding came primarily from grants, which we got after slaving over proposals or completing often complex and multi-layered application processes. This is what I am used to and was expecting. The notion of asking companies to invest in your idea is a novel one; though perhaps one can think of grants as a form of investment in an approach or person who is going to address a social need. I have experienced life in the nonprofit during an economic downturn before and it definitely wasn't fun to wake-up each day not knowing if this was the day your position would be axed as part of cost-reduction tactics. I remember feeling that it was crazy that our ability to do our work (not to mention our livelihood!) was dependent on whether we were given money or not, and I vowed that if I remained in the nonprofit world, I would find a better way of doing things. Maybe that is the opportunity presented by this option to go a more business and bottomline-oriented route. Nominate a blogger (or yourself) for a Naija Bloggers Award. Visit, naijabloggersaward.blogspot.com for more info. I finished reading Sefi Atta's Swallow this weekend. I had dragged on for too long on what is a fairly small book. This review on NEXT.com, Sefi Atta's Hard Swallow, captures some of my sentiments. Sefi Atta will be reading from her books Swallow and Lawless and Other Stories this week. She will be joined by Toni Kan (author of Night of the Creaking Bed) and Karen King-Aribisala (author of Our Wife and Other Stories). Visit the Guardian website for information about other literary events. I am sure that you'll have heard about the 7th edition of journalist Funmi Iyanda's Change--Life project. It's been all over the papers, airwaves and blogosphere. She was a guest of Ireti Doyle's on Today on STV this morning and I caught part of the interview, where she talked about Change-A-Life, her motivations and her hopes for it. Being in the media herself, she's undoubtedly an interviewer's dream: chatty; witty; and very interesting to listen to. She spoke about the way she runs the project, which made me think about some of the things I have been reading about keeping social enterprises afloat in these tough economic times. Keeps her operations lean and mean: This means that she does as much as she can with as little as she can. You don't necessarily need a hugely-staffed organisation to make an impact. Recognises that government has an important role to play in alleviating societal problems: In fact, that is what we believe to be their main job. However in our part of the world, we typically see governments abdicating this responsibility and this work being taken up by able and interested individuals and organisations. F.I reminds us and the government that our efforts should complement and not replace theirs. Taps into her resource network: Acknowledging that she can only do so much, she draws from people she knows who have time, expertise, money, influence and other resources to share. 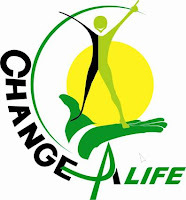 To find out more about Change-A-Life, visit Funmi Iyanda's blog. It's been a while since I blogged about traveling. Well, hopefully I will get to visit many interesting places this year and have the opportunity to write about them. I saw this article about how Miami Beach is coping with the economic recession. Miami is one of my favourite places to visit and is all about ostentation: the glitz, glam and very gaudy. It's long shed its former image as the place where American senior citizens go to retire. Re-reading one of my favourite childhood books, Starring Sally J. Freedman as Herself, indeed showed me a very different Miami from the city that I know and love now. There's a cool slideshow on the NYT site with quintessential MIA images. * The Anita Borg Award for Social Impact and The Anita Borg Award for Technical Leadership: Established to recognize outstanding leaders who embrace Anita Borg’s lasting vision to change the world for women and for technology. * The Denice Denton Award: Recognizes a man or a woman under the age of 40 who has demonstrated a significant leadership capability and positive impact of the lives of women through technology. * The Anita Borg Change Agent Awards: Honor technical women that live and work outside the United States. The Policy Studies Organization (PSO), the Oxford Internet Institute (OII), and Berkeley Electronic Press are proud to announce Policy and Internet, the first major peer-reviewed journal investigating the implications of the Internet and associated technologies for public policy. The journal's first articles will be available in summer 2009. Read more about P&I and about submitting your work. Have I shared one of my favourite blogs, Change.Org's Social Entrepreneurship channel? Not sure if I have. I started following this blog when it was launched a little while ago and the information I've found there have been valuable for my work. Pitched at people working in the nonprofit and social enterprise circles or interested in making positive changes in their communities, this blog is frequently updated with thoughtful posts and links to what others in the field are talking about. Yesterday, I read The Entrepreneurial Presidency: Five Ways to Govern Like a Startup, which is most appropriate in this economic downturn. It's very useful information for nonprofits, which are widely expected to perform miracles on a shoe-string budget. However, this is not always the case, especially here in Nigeria where "NGO" is an evil acronym for organisations expert in churning out successful grant-winning proposals, where the money goes straight to the founder's bank account. Then Charity's Existential Dilemma: Are We Really Making a Difference? explores the feeling of helplessness that many people in nonprofits experience regularly, i.e. Is all this slaving away under difficult working conditions having any sort of real impact? Wouldn't I be doing more by handing over my life to a corporate behemoth in return for lots of money, which I can spend on and help boost the economy? It's almost time for 2009's International Women's Day (Sunday, March 8) commemoration and the Women's Technology Empowerment Centre (W.TEC) is inviting participation in this year's celebration of women's achievements all over the world. To commemorate IWD, please write about your ‘shero’. Who is a shero? This is a woman, who you admire for the things she has done to encourage and empower other people – particularly other women. This could be a woman you know personally or are yet to meet, whose life story you have drawn inspiration from because of the challenges she has overcome, the positive changes she has led in her community, her achievements, or acts of kindness. Your write-ups will be published on the W.TEC blog. Please send your write-ups to info@w-teconline.org by Monday, March 2 2009. W.TEC is a Nigerian non-governmental organisation working to encourage Nigerian girls and women to learn how to use technology as a means of empowering themselves socially and economically (see www.w-teconline.org). I have been wondering what to do with my Twitter account. It seemed rather pointless to have if I can't use it with my cell phone. I've tried twittering from my phone by sending SMS's to the UK number but that didn't work. Maybe there have been delays verifying my phone, but since Twitter doesn't send out SMSes to non-US numbers it's difficult to find out. Today, I learnt about twe2.com, which allows non-US and Canada people to receive tweets. So I signed-up for that today and the one direct message I've received didn't come into my phone. I checked on their website later and found out that they are back-logged in confirming new accounts. So, I'm thinking.... It would otherwise have been such a useful tool and I'm keen to explore the possibilities. Update (18/2/2009): My Twe account has been confirmed and I just received my first direct message. Now, let's see if my mobile number has been confirmed by Twitter. Update II (18/2/2009): I stumbled across this post with tips on making more effective use of Twitter. Congrats to Standtall of The Activist. She runs a vibrant blog where she discusses and rails against all forms of gender-based discrimination. Why are congrats in order? Because ST was nominated for and has been awarded a scholarship to attend BlogHer '09, the annual meeting of the online community of women bloggers (see this NYT article). This award is for 5 activists who live outside of the US and who are using their blogs to raise awareness about and address societal problems. ST wins a full 2-day conference pass to BlogHer'09, a round trip plane ticket to and from Chicago, IL for the conference, 3 nights stay at the Chicago Sheraton during the conference and the opportunity to present her work during a session at BlogHer '09. This is a well-deserved award. Joshua Wanyama of African Path shares his experience at TED2009 in Long Beach and as one of the inaugural fellows. Check out the rest of Joshua's blog for other posts about TED2009 and the TED website to watch the talks. Have I mentioned that Today on STV is one way in which I find out about things happening around town? Well, on this morning's show a young lady and an older gentleman (shame, I can't remember their names now) were interviewed about an initiative, which they coordinate called the Hope for Girls Project. HFGP seeks to mentor and empower young women using basketball. This is about the second such project I have heard of in Nigeria using sports to reach out to young people (I heard about the first also on Today on STV, but that was focused on boys, if I remember correctly). The very first time I heard about using sports to educate, empower and mentor young women was in Nairobi last year with the Binti Initiative, which brought young women together to play football matches, and afterwards shared with them information on sexual and reproductive health. Back to the HFGP interview, the young lady called Bola used to play for the First Bank women's basketball team. She now works as a financial analyst for ESPN in the US, but is still involved with HFGP. This year they will hold their first basketball and empowerment camp for young women between 11 and 19 (I think!). I was very impressed with the way she spoke about the need to impress on young Nigerian women of their worth, especially in a society that does not frequently appreciate them and where their value tends to stem from external factors like family, marriage and children. Ireti Doyle countered that very often how we are treated is a direct result of how we carry ourselves and that perhaps Nigerian sportswomen weren't demanding for their rights. Bola responded that typically female athletes aren't in a position to demand for *anything* and this is even more so in Nigeria with its unequal treatment of men and women (And this is on top of the general lack of support for sports that affects both sexes). More for information about the Hope for Girls Project, email hopeforgirls.ng@gmail.com or get in touch with Today at STV. The Info-Activism Camp is an initiative of Tactical Technology Collective and taking place this February in Bangalore, India. It promises to be a hugely exciting event. What is Info-Activism, you might ask? According to TTC, "info-Activism is an approach which helps rights advocates tactically utilise information, communications and digital technologies to enhance advocacy work." The event blog features interviews with many of the participants, where they share their thoughts and experiences using ICTs for their advocacy work. Check it out: www.informationactivism.org/blog/. shares a bit about her work, including research undertaken by PolDec exploring uses of mobile phones for activism. Come up with an invention – a new or adapted technology – and enter the Invent Your World Challenge. Ashoka GenV and the Lemelson Foundation will support 50 young inventors in using their inventions to create positive change – by providing mentorship, seed funding, networking opportunities, and even a $20,000 scholarship. Submit your one paragraph idea before March 15, 2009. * Seed Grants: Up to US$1,000. May vary from region to region. * Trip to MIT (Massachusetts Institute of Technology): Awarded to five top invention ventures. Each winning team can send two members to take part in a global youth summit on climate change. Each team will also receive an additional $1,000 cash prize. * Scholarship: US$20,000 awarded to most outstanding invention venture. Scholarship may be split among lead venturers. This competition is open to youths between the ages of 12 and 20 in North America and Europe and 12 and 24 everywhere else. My friend Oghomwen Ehigie is setting up the blog Generation Make It Happen, to profile people under 30 who are "making it happen" in their communities. The blog will feature mini documentaries directed by Oghomwen, about young people who are creating some positive changes in Nigeria, through their work, activism, businesses, art, NGOs, and other area. She will profile young people whose personal stories are inspiring and who had to surmount mountains in the pursuit of their dreams. If this sounds like you or someone you know, please get in touch with her by email, oehigie.auditions@gmail.com. This opinion piece by Amma Ogan in today's issue of Next newspaper explores why so few Nigerian women are wearing their own hair.